Did you know that diabetic retinopathy, DR, is the top reason behind new cases of blindness among American adults aged 20 – 74 years? Not to mention that it affects a total of approximately 285 million people around the world. 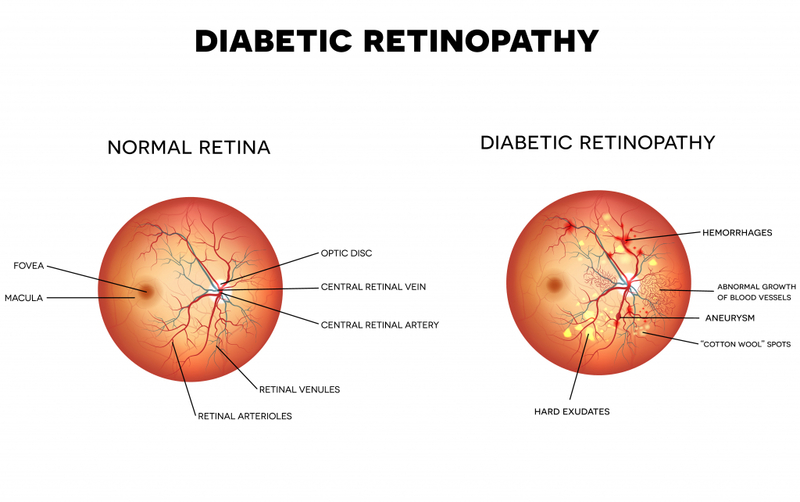 One of the best ways to make sure you don’t end up being a victim of diabetic retinopathy is to learn some ways of diabetic retinopathy prevention. So, let’s start by getting to know this eye disease better, what is diabetic retinopathy, how is it caused and how you can stay safe from it. As the name suggests, this eye disease is a kind of an amalgam, diabetes and retinopathy, where diabetes involves disturbed blood sugar levels and retinopathy involves damage to the retina (the central region of the eye) resulting in eventual vision loss, sometimes also leading to blindness. In simple terms, when your blood sugar levels raise, they tend to affect the small blood vessels clustered within your retina badly, leading you to diabetic retinopathy. This means anyone who has had diabetes for a while is more likely to be affected by this sight-threatening diabetic eye disease. 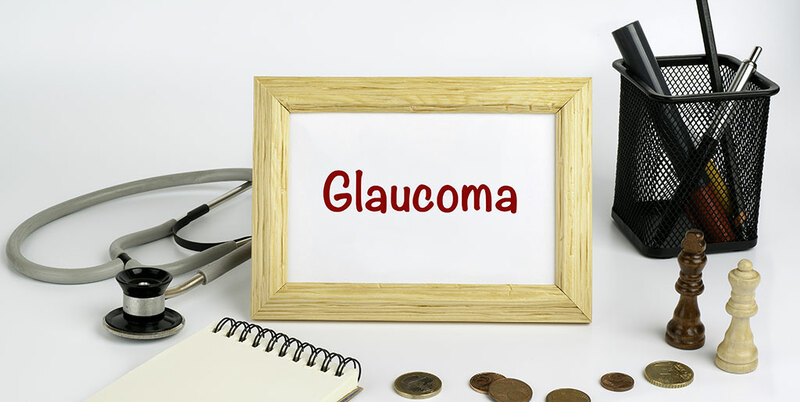 When blood sugar levels rise in your body, the cluster of tiny blood vessels supplying blood and nutrients to the retina starts getting damaged, leading to closure, swelling or fluid leakage. Sometimes, new blood vessels also start to form within the retina, which are much weaker and more susceptible to leaking blood and fluid. This can lead to blurriness of the vision initially and if DR continues to worsen, it can also lead to retinal detachment and/or glaucoma. Diabetic retinopathy is distinguished into four stages ranging from mild to moderate non-proliferative retinopathy, and severe non-proliferative retinopathy to proliferative retinopathy. It is the earliest stage of DR characterized by small balloon-like swelling, referred commonly as micro-aneurysms, occurring in the tiny blood vessels clustered within the retina. By this stage of the disease, blockage appears in some of the retinal blood vessels, disrupting the supply of oxygen and essential nutrients to the retina. 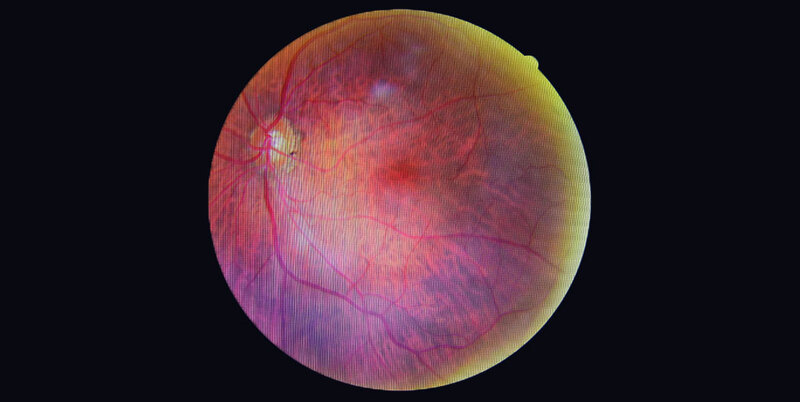 With further progress of the disease, the number of blocked retinal blood vessels increases significantly, affecting the blood supply to the retina. This shortage of blood supply leads retina to signal for growth of new blood vessels in the area, which lead to further leakage of blood and fluid, as they are quite fragile and sensitive. Being the most advanced stage of the disease, the abnormal growth of new and fragile blood vessels due to retina’s signaling to the brain, is peaked by this time. They even cover the surface of the vitreous humor, the clear gel-like substance found inside the eye. This results in severe loss of vision, quite often leading to blindness. 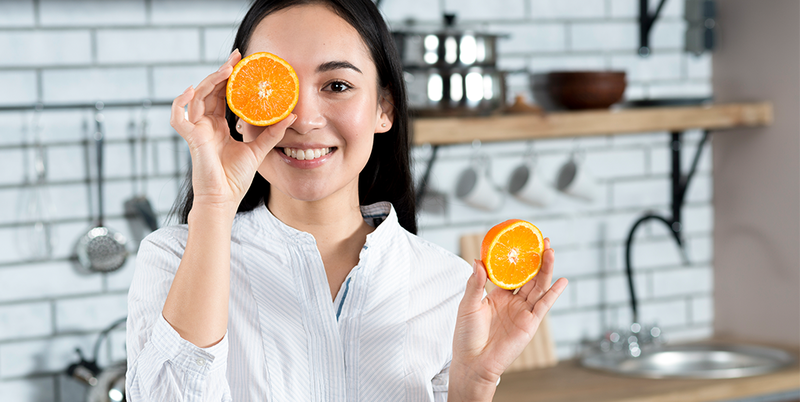 1: Healthy Lifestyle and Healthy Diet: Your diet plays a vital role in maintaining optimal eye health, so you better adopt a healthy lifestyle focused on healthy diet. 2: Get Low on Fat Sugar and Salt: Lower down your consumption of sugar, fat and salt. 3: Get to Your Ideal BMI: Lose weight, aiming to lie within the BMI range best suitable for you. You can resort to this BMI Calculator to work out your ideal BMI range. 4: Regular Workout Regime: Follow a regular workout regime involving at least 150 minutes of moderately intense physical activity every week. Anything from walking to cycling can suffice. If you’re a beginner, aiming for 10,000 steps a day can be a good start for you. 5: Quit smoking: It is detrimental for your overall well being and contributes in development of many serious eye diseases. 6: Say No to Alcohol: Similarly, you need to curb your alcohol consumption. 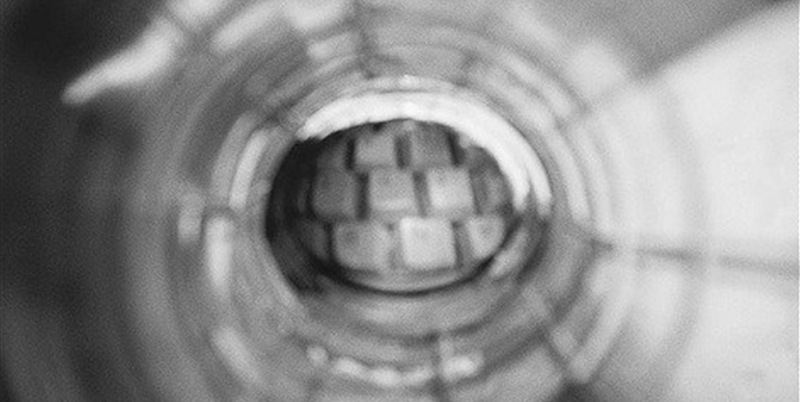 Quitting it altogether is the best way to go about it, but if you found it inevitable, make sure you don’t exceed the recommended alcohol limits. According to Dietary Guidelines for Americans, women shouldn’t consume more than a drink a day, whereas men shouldn’t exceed two drinks a day limit. 7: Monitor and Manage Your Blood Sugar Levels: This will ensure your safety against the inflictions of diabetes, especially diabetic eye problems. You can monitor your blood sugar levels using a couple of alternative methods, doing it by yourself as well as taking help from doctors. One way of monitoring blood sugar levels at home is through a glucose meter, which analyzes your blood sample and notifies the levels at a particular moment. 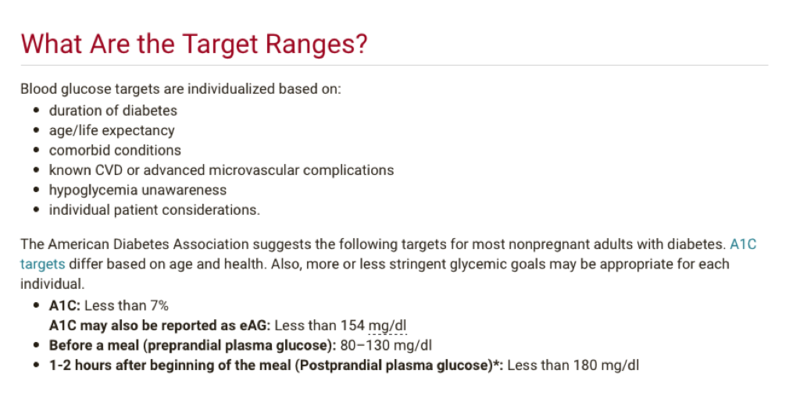 Similarly, you can get your blood sugar levels reported professionally through A1C and eAG tests. 8: Manage Your Blood Pressure: It becomes highly pertinent whether you want to keep tabs on your overall health or eye health, diabetic eye diseases in particular. This too, can be done at home as well as from a certified professional at a hospital or a clinic. 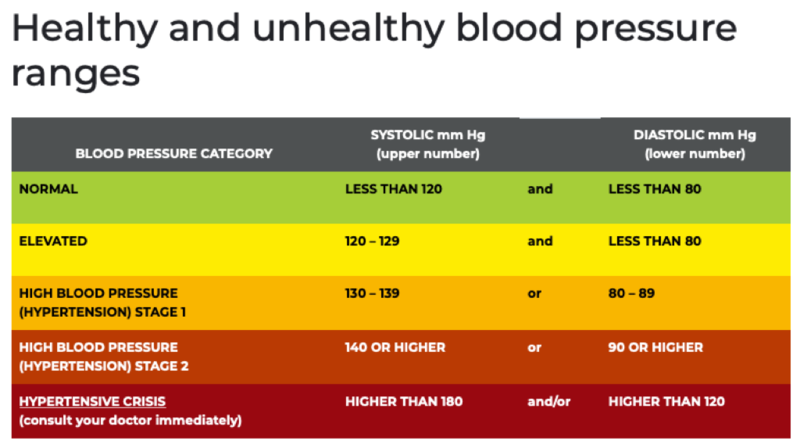 The recommended blood pressure levels vary with age, as stated by the American Heart Association in the following chart. 9: Check Your Cholesterol Levels: When it comes to diabetic retinopathy prevention, you better keep an eye on your cholesterol levels as well. A simple blood test in a hospital or clinic gives you update on your cholesterol levels. 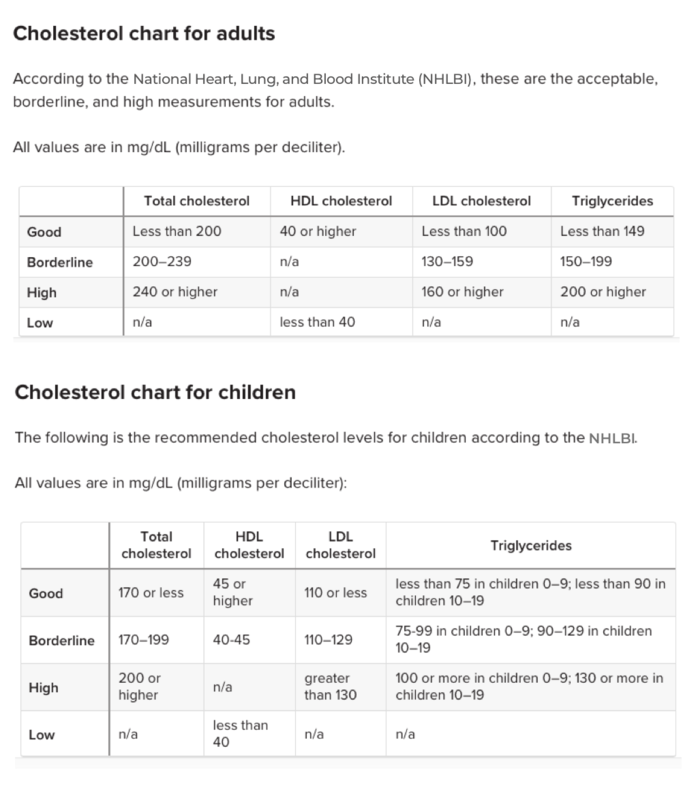 This chart by the National Heart, Lung, and Blood Institute (NHLBI) describes ideal cholesterol levels. If you notice any irregularity in your results, you better get professional medical consultancy immediately. 10: Regular Screening: Suffering from diabetes or not, it is vital to get your annual eye exam, as it is one of the most effective ways of detecting any signs of an underlying issue, which you might not be able to suspect otherwise. Early detection of any problems with your vision improves your odds of fighting against it; whether it’s DR or any other sight-threatening problems like age related macular degeneration, glaucoma or cataracts. 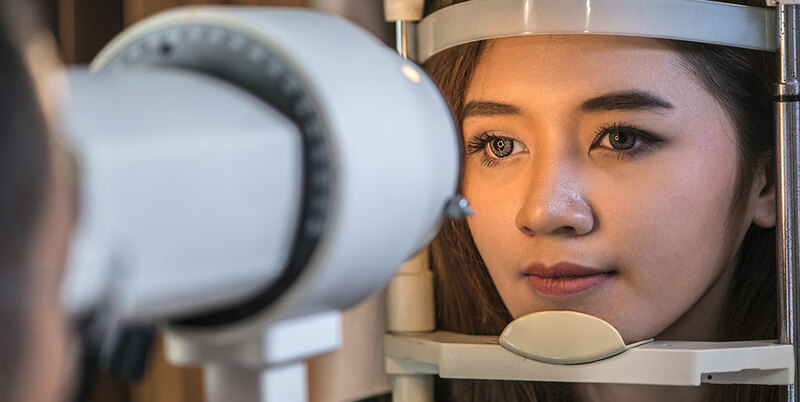 Of course, having any of these symptoms doesn’t mean you necessarily have diabetic retinopathy, but getting your vision checked for them can only help you. What If It’s Too Late and Diabetic Retinopathy Has Already Affected Your Vision? Well, it’s an unfortunate, but still a possible scenario. The best way to deal with it would be to find an eye doctor specialized in treating diabetic retinopathy, so that you can be recommended with the best possible course of action out of the possible treatments available nowadays to slow down the progression of the disease. 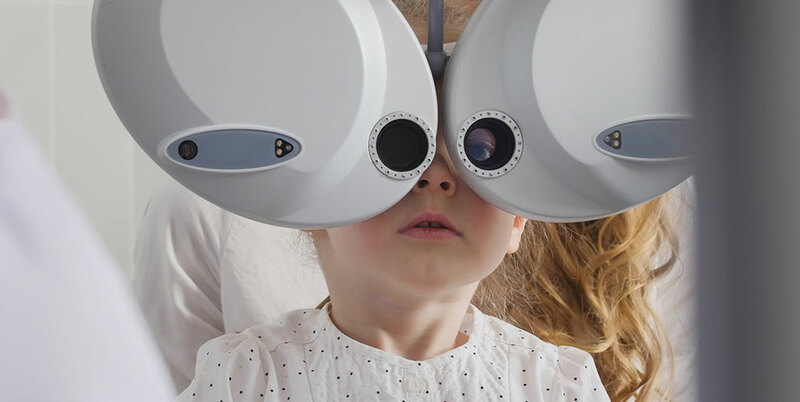 Moreover, your eye doctor might also recommend you a contemporary low vision tech-based solution, such as the IrisVision, one of the best low vision aids designed to assist people suffering from various low vision conditions, including diabetic retinopathy. In fact, hundreds of people already swear by the positive change IrisVision has brought back into their lives, helping them make the best of their leftover vision. Have a look at the inspirational stories of people using IrisVision before you can try it free for yourself and make the best of your leftover vision too.